Sweet pro wrestling Jesus. This Lesson in Street MMA reminds us to work on our choke slam defense. You just never know when you will find yourself in a street fight versus The Big Show or Kane. From what looks like a restaurant waiting area, we have some dudes talking smack and then an employee who doesn’t have time for that. Spoiler alert: the employee’s time is valuable and never turn your back to him or he will choke slam KO you to hell. 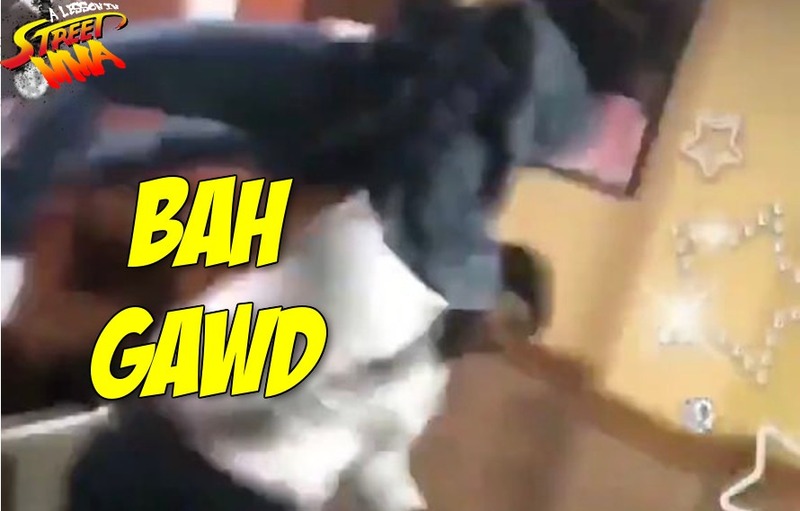 A Lesson in Street MMA: Dude in a hoodie fights five guys at once & wins?